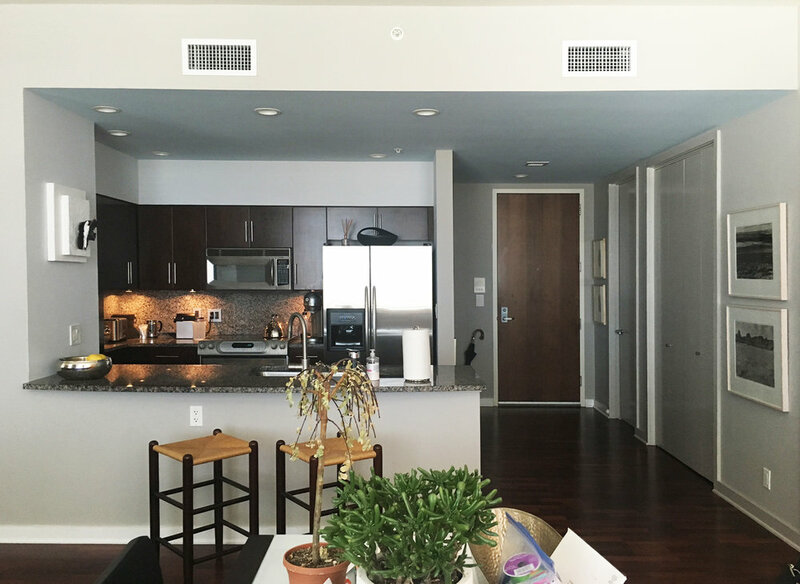 This kitchen remodel in the heart of downtown Des Moines transformed a dark, outdated, and closed off kitchen into a bright, contemporary, and elegant space. 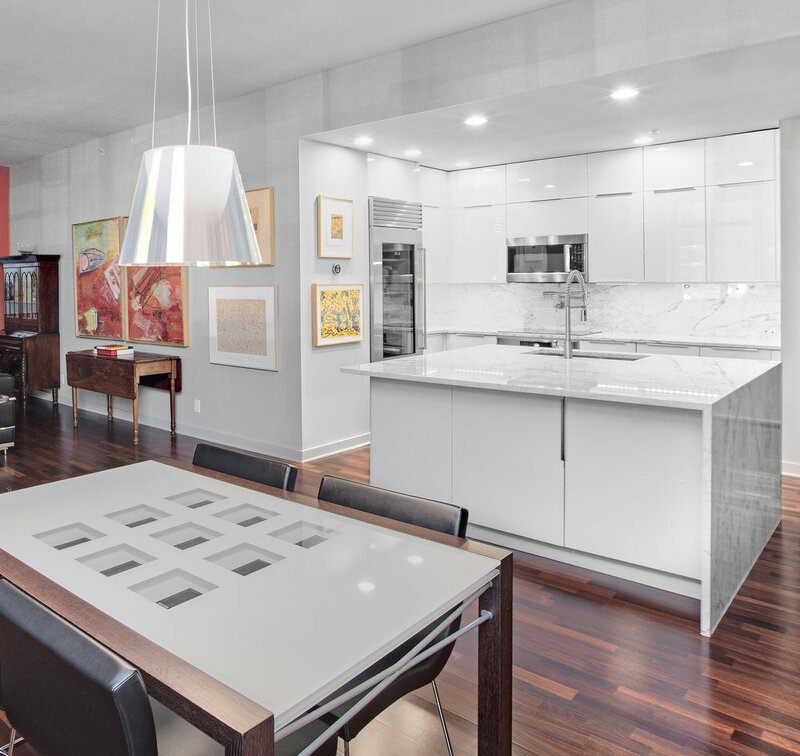 The new kitchen provides the ideal backdrop to display the client's astounding art collection. 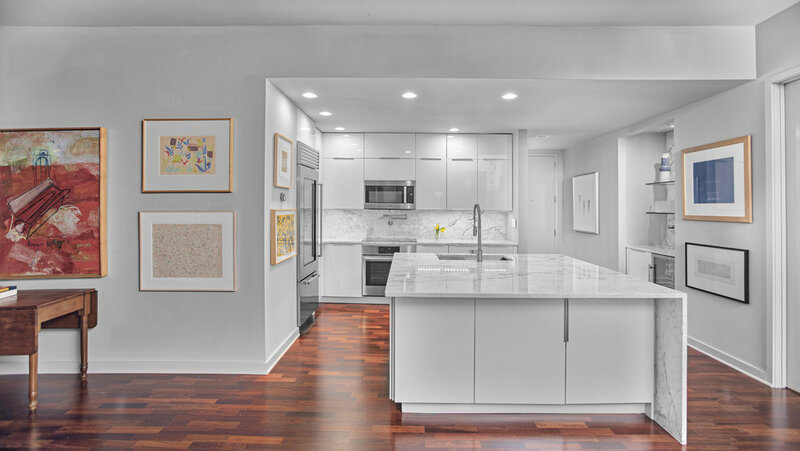 A six foot square island with a waterfall edge stands as a sculptural element within the space, connecting the kitchen prep area to the great room.